on the way to the big game that’s being played on Texas soil this year at Houston’s NRG Stadium. In this issue, we’ll also take a look at another agricultural treasure in Texas — the wool and mohair industry. Our friends at the Mohair Council of America are located right here in the Lone Star State, and they’re working hard to help promote this industry. We are also highlighting one of our award-winning wineries, Becker Vineyards — their fine wines are something truly Texan. I hope you enjoy this issue. Be sure to share it with your friends, and remember: Texas Agriculture Matters! Some of the technology advances and secrets involve chips inside the balls, which right now can verify which balls are actually used in which games. The future, however, might be more exciting as these chips could be used to change the way the game is officiated, using a “smart football,” if you will. It will be exciting to watch these changes take place in one of America’s favorite sports, and it will be no surprise if a GO TEXAN company called Big Game USA is right there in the thick of it. For more information on Big Game USA, visit their website. LA HACIENDA DE LOS BARRIOS: THE WAY TO ANY TEXAN’S HEART Delicious Mexican food and excellent margaritas are the way to any Texan’s heart. La Hacienda de los Barrios provides the citizens of San Antonio with both of those things and so much more. In 1979, Viola B. Barrios started the Los Barrios restaurant. Six months later, the restaurant moved to another location, which is still one of the three locations today. Trevino said. “Plus, we have access to the freshest produce, beef, poultry and seafood making our dishes some of San Antonio’s favorites!” The GO TEXAN program has allowed the Barrios family to build a community, create partnerships and help others learn about sustainability. BECKER VINEYARDS: FROM WEEKEND GETAWAY TO TEXAS WINE STAPLE Richard and Bunny Becker began their wine adventure when they began looking for a log cabin to renovate for a weekend getaway in the Fredericksburg area. In 1990, the family purchased a piece of land on more than two acres that would later become Becker Vineyards. In 1992, the Beckerâ&#x20AC;&#x2122;s decided to plant 10 acres of vines and later decided to add a winery to the vineyard. In 1996, Becker Vineyards opened to the public. This year, Becker Vineyards is celebrating 20 years as an established winery. Becker Vineyards recently added an open air pavilion so guests could have more seating and protection from the elements. Even with expansion and growth, one thing still remains the same at Becker Vineyards, just as it has for 20 years — good quality service. Over the last 20 years, the Beckers have made many friends at the winery and enjoy a wonderful team of people working with and for them. They have made long-lasting grape grower friendships, too. This vineyard has been featured in the Wine Spectator, Wine Enthusiast and Bon Appetit, and won two Double-Golds (Claret 2011 and Provencal 2013) at the San Francisco Wine Competition. Recently, Becker Vineyards celebrated the nomination of “Best Winery in America 2015” by Wine Enthusiast. Want to visit Becker Vineyards? Check out their website here. THE HAPPY TOY MAKER: TEXAS TOYS Even though the holiday season has come to a close, the Happy Toy Maker is still working hard to help create the perfect gifts for the children in your life. Their miniature toys for kids are made completely from scratch right here in Texas. The creator of the Happy Toy Maker, Jerry Sims, hails from Happy, Texas, which is perfectly fitting. are as rugged and durable as the kids who play with them. These toys are made of steel and are designed to last a lifetime. There are lots of toys to captivate and occupy your young ones — from semi trucks to rodeo sets to feedlots and animals. Jerry’s wife, Patrice, is very much involved in the family business, too, crafting several different kinds of farm animals from a resin material poured into molds that she makes. RECIPE: SALAD WITH SQUASH NUTS It’s the first month of 2017, and New Year’s resolutions are still fresh on everyone’s mind. 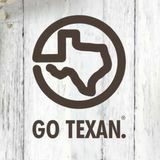 GO TEXAN has plenty of healthier recipes to help you stick to those goals. Try the following recipe with GO TEXAN-certified products and eat your way to a healthier lifestyle. Salad Ingredients: ½ cup Pine nuts 3 cups	Cooked long grain rice (try Doguet’s) 1 cup	Crumbled feta cheese (even the flavored types) 1 cup	English cucumber, peel left on, sliced ½ cup Red bell pepper, diced 1	Zucchini squash, grilled tender-crisp and cut into chunks 1	Yellow squash, grilled tender-crisp and cut into chunks 3	Green onions, sliced thin, including tops 1 cup	Kalamata olives, pitted 1 cup	Grape tomatoes, halved Dressing Ingredients: 1 or 2	Cloves garlic, minced 2 tbsp. Fresh rosemary, finely minced 1 tbsp. Fresh mint, finely minced 6 tbsp. Extra-virgin Texas olive oil Zest of 1 large lemon 3-4 tbsp. Lemon juice To taste	Salt and pepper Salad Directions: 1. Toast the pine nuts in a dry, nonstick skillet over medium heat. Stir often, and watch them carefully — they burn easily! 2. When lightly browned, transfer the nuts into a small bowl and set aside to cool. 3. In a large bowl, combine the cooked rice and feta. Add the cucumber, bell pepper, grilled squashes, onions, olives and tomatoes. 4. Stir gently to mix all the ingredients. Dressing Directions: 1. In a small bowl, combine garlic, rosemary, mint, lemon zest and juice. 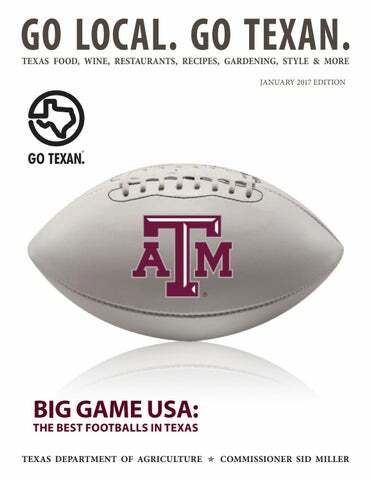 The latest news on Texas food, wine, restaurants, recipes, gardening, style and more.